Ex JAVELIN KUTSERO was a Tri Service Type 3 Adventurous Training expedition conducted over the period 12 Feb‐8 Mar 16. 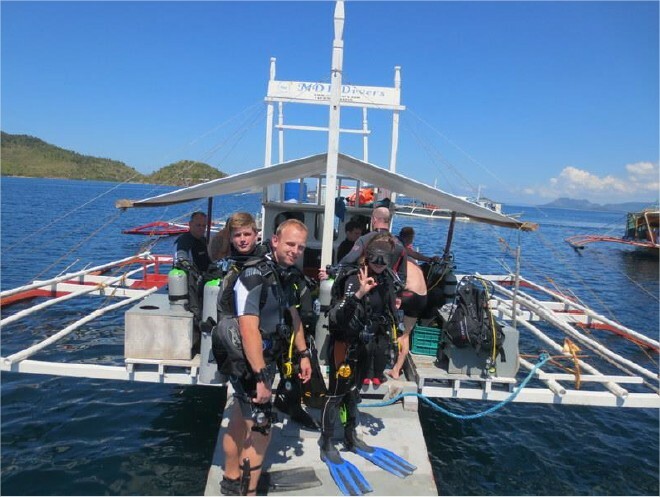 The expedition involved scuba diving activities focussed on the WW2 Japanese wrecks of Coron in the Philippines. Diving was conducted in two groups; this report focuses on the first of these, which deployed over the period 12‐26 Feb 16. We flew on 12 Feb from Heathrow to first Manila, capital of the Philippines, then Busanga Island in Coron, from where we got a boat to our final destination, Discovery Island, our base for the fortnight. While the history associated with the location was fascinating, and an educational insight in to the WW2 Pacific campaign, its remoteness meant that it required considerable technical planning for emergencies as local medical facilities are limited, and transport was challenging; indeed, this was part of the appeal. We dived on a variety of wrecks, and in a variety of conditions, from shallow wrecks in 10m of water and little current, to 30m wrecks in strong current. For example, the Tai Maru aircraft carrier was a particular favourite. It had lost its bow, where it is suspected a fire and thus explosion led to its effectively cracking in two. We used this to access the inside of the boat, and explore: there was plenty to see, from aircraft rails to machine gun mounts, the aircraft themselves however having never been recovered. Another favourite dive, the Morazan Mar, provided plenty of opportunity for individual exploration, from giant blue swim-throughs, to relatively tight squeezes through propeller shafts; both great fun, and invaluable for confidence-building. That wreck was also full of coral, nudibranchs and lionfish, whilst stonefish and crocodile fish were also spotted. 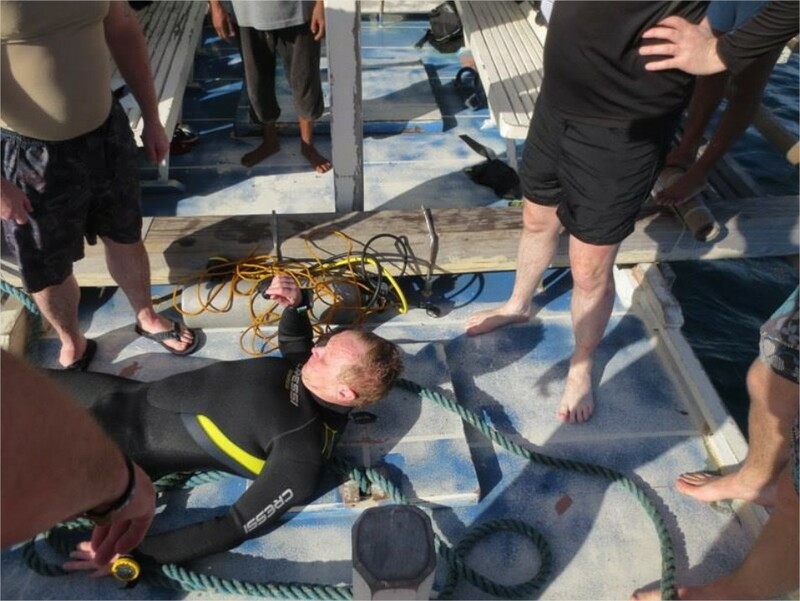 We also undertook a number of reef dives, and conducted a wide range of BSAC lessons to build diving qualifications. The underwater life was very impressive; for example, in a reef called ‘Christina’s coral garden’ we saw gigantic feather and table corals, also a giant clam around half a metre in diameter, colourful nudibranchs, and hundreds of exotic fish species. Whilst one group was diving, the diving supervisors on the surface went through rescue practices with the other group, in which a ‘casualty’ would be brought on board the boat, discussing how we would proceed with oxygen administration and contacting emergency services, to getting the casualty to the nearest decompression chamber or hospital. Rescue lessons also included spotting the signs of hypoxia and hyperoxia, CO2 and carbon monoxide poisoning, and how to deal with it. We also dived in a unique location, Barracuda Lake. Situated on the coastline of a tribal island, the entire island had been given to a local tribe in the 1980’s, and Philippine law had no jurisdiction here. Consisting of around 2000 indigenous tribesmen plus 400 Philippinos who had married into the tribe, they were now very rich, due to charging tourists to visit the lakes on the island. After anchoring along the coastline, we swam to the beach, and then climbed with scuba gear up and over a rockface. On the other side was Barracuda Lake: totally picturesque, crystal clear blue waters against a backdrop of steep jagged rocky peaks. Despite its name, only one barracuda has been spotted in this lake; the draw of this dive was indeed not the marine life but the presence of a thermocline. Thermoclines occur where two water bodies lie on top of each other, and due to their differing densities do not mix, instead a clear defined boundary line occurs. In this lake the bottom layer was a salty hot layer around 40 degrees C, fed by hot springs further inland through a series of cave systems. This was overlain by a considerably colder (29 degrees C) layer. Under the water this boundary could be both seen and felt. Once time had been spent in the almost unpleasantly warm bottom layer, returning to the [relative – 29C!] colder layer was a shock! The rock faces under the water were fascinating, their limestone nature resulting in all sorts of strange shapes being formed. The only real marine life spotted were hundreds of shrimp, and what appeared as less evolved catfish, with large eyes and tadpole like tails. Post-dive was spent swimming and snorkelling. The reserve members of the expedition were fully‐integrated in to the planning, from working as Sub Aqua Diving Supervisor to preparing briefings for all personnel on the history of the sites, as well as the technical diving aspects. 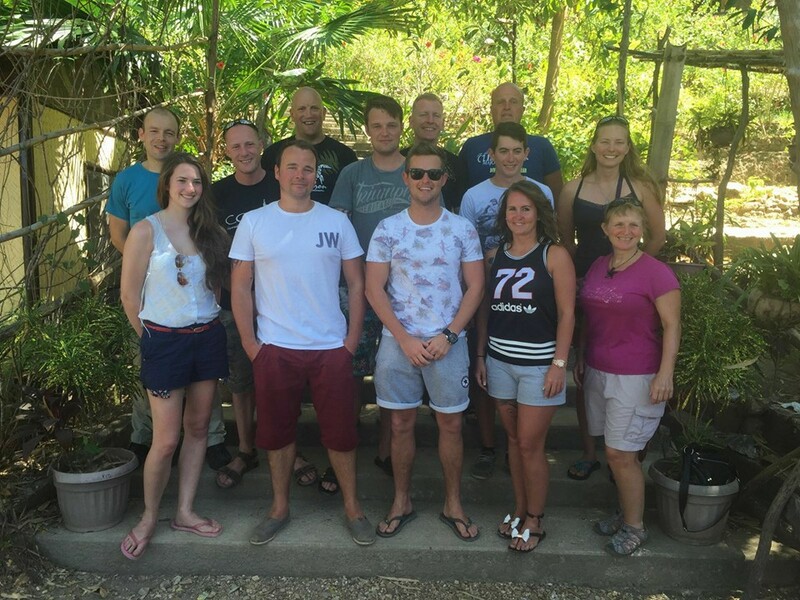 There were considerable educational and developmental benefits to individual participants, including military awareness of the Philippines campaign, developing diving skills and qualifications. Finally, all reserve personnel progressed their leadership and instructional qualifications, so as to be able to lead and instruct on future expeditions. We achieved our aim of delivering tangible training outcomes to progress service personnel through both the British Sub Aqua Club and Joint Services diving syllabi. 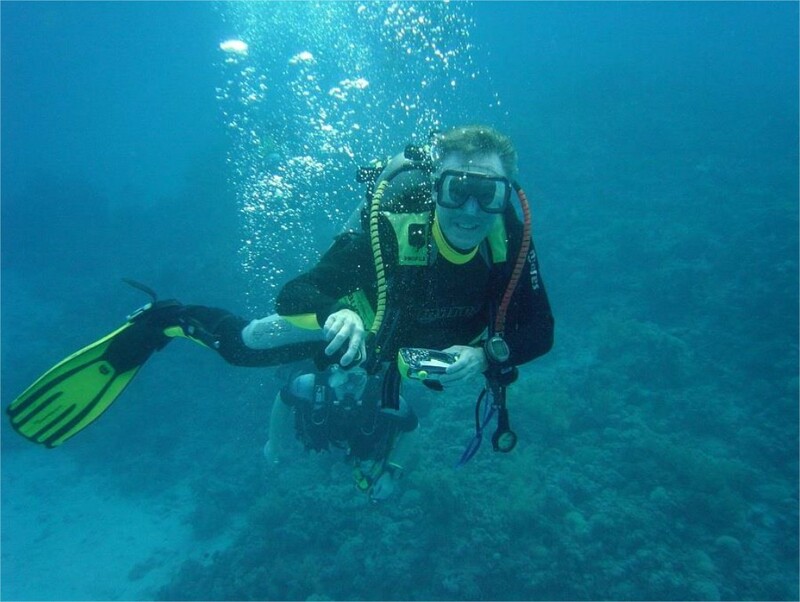 Everyone on the expedition gained valuable experience and progression towards further qualifications, predominantly Dive Leader, and we would like to express our considerable gratitude to both the Ulysses Trust who assisted with the expedition, and to Maj Dax Godderidge of ARRC Sp Bn, without whose immense efforts the exercise would never have taken place. We all met at Heathrow on Friday night, and boarded for a long overnight flight, arriving in Manila, the vibrant, slightly mad capital of the Philippines, late on Sat 13 Feb, where we had a both eventful and forgettable night out. After a second flight, and then a boat journey we arrived at Discovery Island, the tiny dive resort which was to be our base for the next 10 days. Most of the rest of the day was spent sorting dive kit and catching up on much needed sleep ready for a full day’s diving the day after. After a leisurely breakfast, we headed off to see what diving the Philippines had to offer. The diving of the day consisted of 3 relatively shallow dives, to enable refreshing of skills and drills, buddy pairs and to iron out any equipment issues. The first dive of the day was the East Tangat gunboat, a small boat (12m) of unknown name or origin, situated to the east of Tangat island. The visibility was only around 10m, but the coral was spectacular. Apart from skills dives for trainee dive leaders, all dives were undertaken with a local dive guide to maximise the time spent underwater, whilst for safety reasons each dive was split into two groups with approx 40min dive time each. After ironing out some issues the next dive was a larger wreck, the Morazan Maru, at 120m laid on its side. This was a great opportunity to begin some wreck penetration, whilst sticking to blue swim-throughs, where exits could be seen. Due to depth restrictions, the first deck was the limit for this dive, the first time we dived it, though. The final dive of the day, Lusong gunboat was relative shallow at around 16m, but due to the presence of a sea turtle was the days highlight for many. After 3 tiring dives we headed back, past the oyster pearl farms where divers risk getting shot at by protective farmers, and tiny fishing pirogues. Upon return, after quick cold showers we had our first safety lesson, a refresher on controlled buoyant lifts, how to rescue a drowning diver, and much more. Combined with Stuart’s first-hand experiences as both an instructor and technical diver, it was a poignant reminder of the inherent risks associated with the sport. We finished the day with a delicious 3-course meal buffet and a few beers, before heading off for an early sleep. The start of another great day’s diving – apart from for the birthday girl Jane, for whom her 50th was instead spent nursing a cold to her and everyone’s disappointment. The first dive, another wreck, the Olympia Maru, or ‘Former Tangat wreck’ was a relatively deep wreck and therefore we were limited to the first floor only. Some great swim-throughs, and plenty of interesting features including a jail: this was a great dive. Two ‘Nemo fish’, a tiny orange male and large purple female with serious attitude caught everyone’s attention. The second dive of the day was a wreck from the previous day, Morazan Maru, laid on its side on the seabed at 25m, so depth limitations weren’t an issue, and with many areas to explore time flew by. Questionable diving practices by divers in another group resulted in one being brought up on alternative source whilst two others had to be literally held on the shot line due to lack of buoyancy; this emphasised the importance of proper training ourselves. 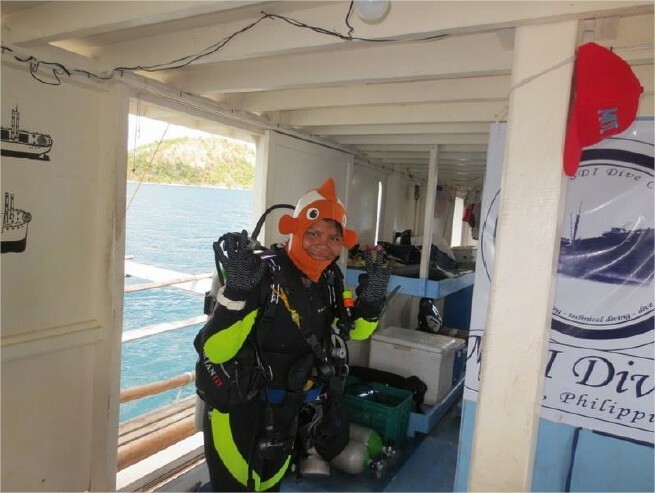 The day’s final dive was a very shallow reef, known as Christina’s Coral Garden, where gigantic feather and table corals dominated, but there was also a giant clam, around half a metre in diameter, colourful nudibranchs, and hundreds of exotic fish species. Whilst the other group were diving, the SADS also went through rescue practice, where the casualty would be brought on board the boat, and how we would proceed with regards to oxygen administration and contacting emergency services to get the casualty to the nearest decompression chamber or hospital, should an incident occur. Rescue lessons included spotting the signs of hypoxia and hyperoxia, CO2 and carbon monoxide poisoning, and how to deal with it. Chocolate cake followed this evening’s meal, in honour of Jane’s birthday, and we said goodbye to Dax, as he left for Manila: despite putting over a year’s work into the organisation of the trip, he had not been able to dive due to issues getting a referral for a dive medical. Koyga Maru, 20-36m on the seabed, was the first dive of the day, which with the guides we thoroughly explored, through corridors and engine rooms. Another deep dive in the Okikama Maru followed, down to 25m. This wreck, an oil tanker which had its nose destroyed in a fire, was especially interesting to explore, but due to decks melting together etc, this end could only be explored with the guide’s supervision. The day’s final dive was Lusong coral garden, a shallower dive, but due to the large numbers of coral and marine life, this was brilliant for photo opportunities. Today’s diving started with a deep dive to 30m, on the Irako, a wreck laid upright on the seabed at depths of between 30 and 40m. The depth resulted in a relatively short dive, and after we again visited Tangat wreck for some exploration in buddy pairs, before returning to East Tangat wreck. With increased confidence, longer passages and smaller entrances were investigated. In the evening we headed out to Coran, a short boat ride away for food at a restaurant owned by Alan, an expat and the owner of the island we were staying on. After some much-appreciated western food, the group split into two, with some heading home whilst the rest sampled the night life Coran had to offer. After a leisurely start, we headed off around 10am for Barracuda Lake. Arriving at the coastline of a tribal island, we were told that this island had been given to a local tribe in the 1980’s, and Philippine law had no jurisdiction here. Now a rich tribe, consisting of around 2000 plus 400 Philippinos who had married into the tribe, due to charging tourists to visit the lakes on the island, they had very strict rules as to the areas available to non-tribal peoples. After anchoring up along the coastline, it was a short swim to the beach, and then a climb with scuba gear up and over a rockface. On the other side was Barracuda Lake: totally picturesque, crystal clear blue waters against a backdrop of steep jagged rocky peaks. Despite its name, only one barracuda has been spotted in this lake; the draw of this dive was indeed not the marine life but the presence of a thermocline. Thermoclines occur where two water bodies lie on top of each other, and due to their differing densities do not mix, instead a clear defined boundary line occurs. In this lake the bottom layer was a salty hot layer around 40 degrees C, fed by hot springs further inland through a series of cave systems. This was overlain by a considerably colder (29 degrees C) layer. Under the water this boundary could be both seen and felt. Once time had been spent in the almost unpleasantly warm bottom layer, returning to the colder layer was a shock! The rock faces under the water were fascinating, their limestone nature resulting in all sorts of strange shapes being formed. The only real marine life spotted were hundreds of shrimp, and what appeared as less evolved catfish, with large eyes and tadpole like tails. Post-dive was spent swimming and snorkelling. After heading back to the dive resort for lunch, we split into groups, some heading over to Coran for some drinks and shopping, whilst the rest did Dive Leader lessons, before heading over to join them. The bustling town was only slightly less chaotic than the previous day. After some general ‘being a tourist’, we headed back in the evening for food, more lessons and some much-needed sleep. The effects of Philippino food provided much of the day’s entertainment, however it also resulted in a few guys playing it safe and taking the day off diving. For those fit to dive, the first dive was the Akitsushima, a wreck lying 26-36m on the seafloor. 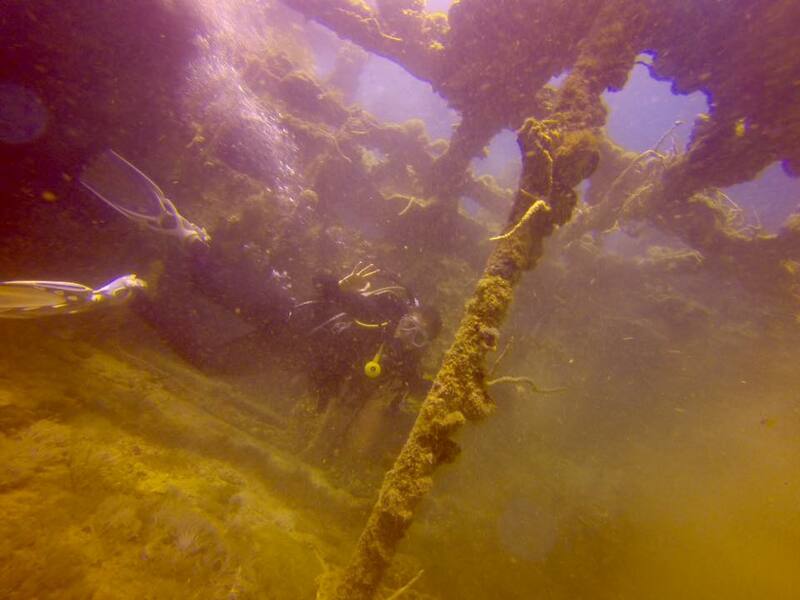 Following the guides we explored a relatively large area, with plenty of wreck penetration. The current however was too strong to do any skills and drills as planned. The second dive, the Tai Maru, the aircraft carrier previously dived, was a particular favourite. This time however we explored the broken bow end of the boat, where it is suspected a fire and thus explosion led to its effectively cracking in two. Again with the guides, we explored: there was plenty to see on this dive, from aircraft rails to machine gun mounts, the aircraft itself however have never been recovered and there are questions as to whether it was even on board at the time; again, strong currents prevented any skills lessons. The final dive of the day was the Morazan Maru. Laid on its side, and a relatively small wreck, there was plenty of opportunity for individual exploration, from giant blue swim-throughs, to relatively tight squeezes through propeller shafts and there was a lot of fun and confidence-building to be had. This wreck was also full of coral, nudibranchs and lionfish, whilst stonefish and crocodile fish were also spotted. Some members of the group practiced their CBL and rescue tows on this dive as the current died down, whilst Tom took over dive manager for the day. After food, lessons for some, beers for the rest, everyone took off for some much-needed sleep. Diving began with the Koyga Maru, a relatively deep wreck, which was generally explored with the guides, enabling some great penetration. Hundreds of glass fish made this wreck quite tricky with regards to navigation, and depth had to be carefully monitored. Again we returned to the Tangat and East Tangat wrecks in the afternoon, which perhaps surprisingly still had plenty to offer in terms of undiscovered rooms. Relatively strong currents and waves resulted in us returning to the Tangat wreck for the day’s first dive. With calmer seas, however, in time for the second dive, the Akitsushima, a favourite with everyone was returned to. Again guide-led, the pressure was off, and everyone was free to enjoy the mysteries this wreck still had to offer. Lucong gunboat was the final dive of the day, a wreck and reef area, of less than 10m depth. The wreck, an empty shell, was home to some extremely disgruntled fish. The longer dive time at this site, of 50 minutes, meant it could be explored at a leisurely pace. A turtle oblivious to the divers happily munched on coral, whilst shrimp fighting, territorial trigger fish and shy Nemo fish were all entertaining to watch. As a group we decided to spend two of our final dives back at the huge tanker Akitsushima. Following the guides through engine rooms and up propeller shafts was highly enjoyable, whilst for the second dive, the current had massively increased, resulting in highly energetic swims down shot lines, and into the relative safety of the sheltered wreck. One group’s dive resulted in a ‘rock climb’ up the back of the boat, whilst Sam’s ‘saving Jane’s life’, in the form of throwing her a rope to prevent such an exhausting swim, was something he ensured no-one forgot in a hurry. The final dive was the Olympia Maru, where the aim was to find the almost mythical shower room, avoiding barrels of blue dye, which after nearly 70 years submerged still have the ability to turn diver and kit blue. Despite much looking, the shower room was never found, and combined with rumours of manta rays in the area, there are definitely reasons to go back! A few beers and a dinner of crab, calamari and some much-appreciated potatoes soon made things up to those who didn’t see the manta rays. 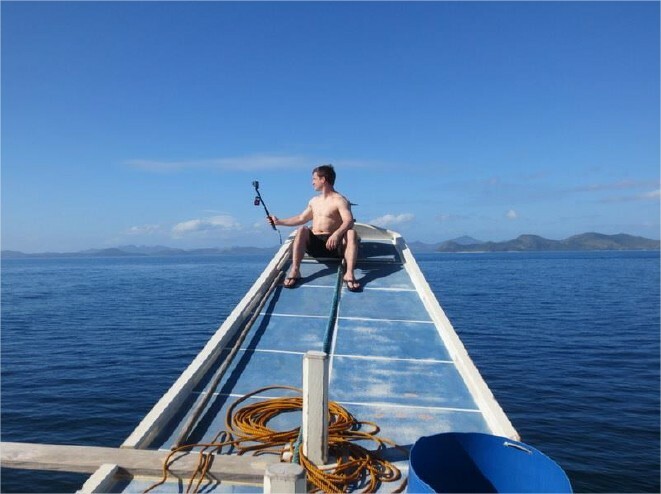 One of the ‘necessary evils’ of diving expeditions, is the requirement for a decompression day before flying, so the final day in Coron was spent touring the islands, visiting lakes and snorkelling coral gardens. Our lunch stop was at a secluded and picturesque white sand beach. Apparently this beach used to be full of wild monkeys, but with increased tourism they disappeared, likely further inland. Unfortunately, a pet monkey was all that remained, and highly dehydrated, it took a fancy to Karl’s coca cola (it also seemed very adept at borrowing phones and taking selfies). After heading into Coron for some last-minute shopping, we celebrated our final evening on the island with a brilliant hog roast – and obviously some beers. Everyone on the expedition gained valuable experience and progression towards further qualifications, and we would like to express our considerable gratitude to both those organisations who assisted with the expedition, and to Maj Dax Godderidge without whose immense efforts the exercise would never have taken place. 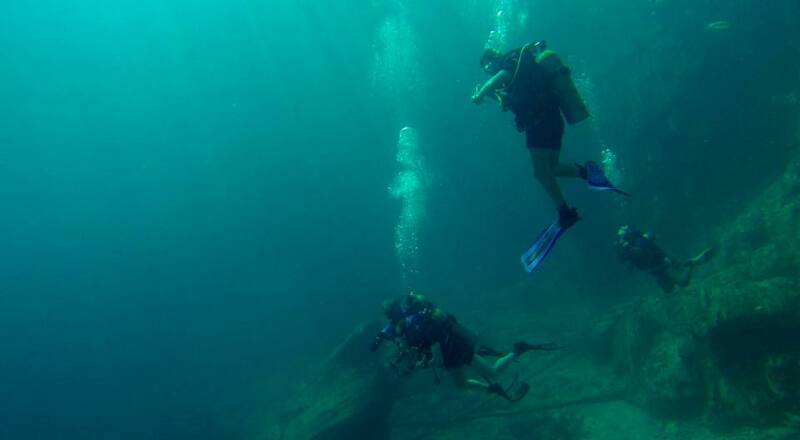 The team descending on to a new wreck. Group 1, at the end of a challenging fortnight’s diving. Swimming through a sunken WWII Japanese wreck.